In the past few years, there has been a huge growth in the number of people indulging in online games. Well, the sheer convenience of accessing a whole new world of games through a single click is what makes online games so sort after. After all, taking a quick 5 minutes break from your busy schedule and unwinding and relaxing for a while is something that can only happen through the digitally driven world of online games. In fact, one of the most addictive and loved word game in this regard is the new age online crossword puzzle game named “Wealth Words”. Yes, it’s addictive (in all the positive ways, of course!) in a way that leaves crossword experts asking for more while inducing them with a sense of instant gratification. Scratching your head? Wondering what could be so addictive about a word puzzle game? Well, crossword puzzle games have been here since ages and you surely must have played a lot of crosswords too, haven’t you? With a plethora of word puzzle games were printed in Sunday magazines and newspapers since its inception in December’ 1913 by the talented Liverpool journalist John Arthur Wynne, it’s craze has always been there; making crossword aficionados fall in love with words with its enticing and intriguing puzzles. Hence, now, the million dollar question is what makes Wealth Words so unique and different from its earlier counterparts, apart from that it has gone online and can be played from any digital device with a good internet/wifi connection? Is there anything else that makes it stand out amidst the other crossword puzzle games on board? These questions might be cropping up in your mind too, right? Well, let me clear your queries, one question at a time. However, before that, it would be great if you register at its website and play a game or two of crosswords the Wealth Words way. It surely would clear a lot of your apprehensions. Try playing it once, you won’t regret it even a bit. I have been there, done that. 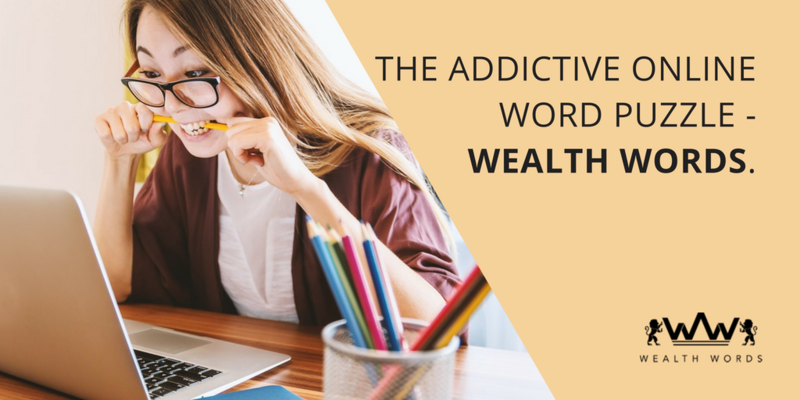 Now, coming to your query of why Wealth Words is so addictive, the fact that it’s more than just another online crossword puzzle game is the ultimate reason of it being so insanely addicting. Yes, apart from letting crossword lovers hone their vocabulary and communication skills (like every other crossword), what gives it a competitive edge over its counterparts is its transformation as real money games. Are you surprised? Confused? Still on the fence? Well, didn’t I tell you to indulge in its puzzling sessions to get a quick sneak peek of it? You still have time, buddy. Go and register at its website if you haven’t already! Initiated a year back on 20th April’ 2017 by Signity Solutions with collaboration of Wordz Australia, Wealth Words offers cash prizes as high as $1600 to its players on answering its puzzles right. Absolutely no daydreaming here, my friend. It’s for real. This online crossword puzzle game can shower you with enormous pool of cash prizes if you crack its puzzles just the right way. How cool is that! Doesn’t it sound downright awesome? Distributed in the form of divisions, each player can win the division 1 and division 2 cash prizes by either answering all of its 20 puzzles right or being on the second highest correct answer position, respectively. 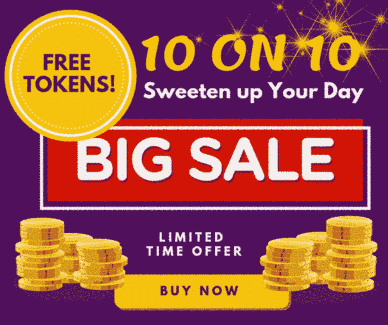 And, to top it all, its active games ranging between 2 to 20 words have the ability to award you with cash prizes lying anywhere between $50 to $1600. Swooning already? Told you, didn’t I? Now, doesn’t this justifies Wealth Words addiction of every crossword lover out here? In fact, even if you aren’t a big crossword fan, you surely would become one after a few puzzling sessions of Wealth Words. However, make sure you buy tokens worth $2 each for playing this crossword puzzle game. Don’t take it as an expenditure though. It’s more of an investment. Remember those huge cash prizes? Yes, so a mere $2 is nothing as compared to the huge amount of real money you’re gonna win while laughing all the way to bank. Haven’t your all doubts been cleared by now? It certainly have been. I know I am pretty good at it (well, self-love is important too!) And, yes you can thank me later! For now, go and indulge in its extensive puzzling sessions. Be confident, precise and careful enough to grasp the clues that come your way while submitting your answers in an active time frame of an hour. It’s required to be in the ultimate race of winning. Time to put your best puzzling shoes forward. Do well. Nail it and become a proud crossword addict for all the good reasons. Happy puzzling.